I have been a little crazy for this song by Voxtrot the last week or so. It sounds soooo sweet, but the words are a bit effed. What is he talking about???? Anyways...... enjoy your Saturday friends! Also, hi! 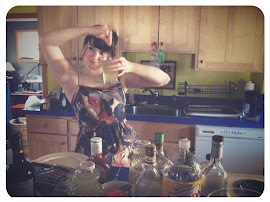 I'm your new follower :) I found your Blog through the Totally Awesome Blog hop, and I'm now following it.